Israel will assassinate Syrian President Bashar al-Assad if he continues to allow close ally Iran to operate in Syria, the Israeli energy minister has warned. 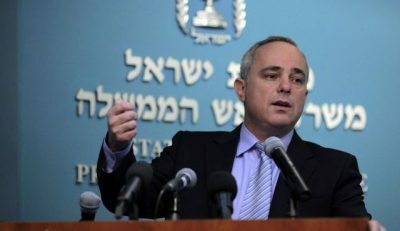 Yuval Steinitz made the warning to Israeli news website Ynet on Monday, amid a war of words between Tehran and Tel Aviv over suspected Israeli air raids in Syria targeting Iranian fighters. “If Assad allows Iran to turn Syria into a military base against us and attack us on Syrian soil, he must know that will mean his end,” Steinitz said. “Assad should realise his actions will bear a price,” he added. The minister’s comments come come days after a senior Iranian official warned that his country will retaliate against Israeli “aggression” in Syria. “We are in Syria at the request of the Syrian government,” said Alaeddin Boroujerdi, president of Iran’s parliamentary foreign affairs committee. “The aggression of the Zionist entity on our advisers in Syria guarantees us the right of response,” said Boroujerdi. Last week, missile strikes on central Syria killed 26 pro-regime fighters, most of them Iranians, in a raid that bore the hallmarks of an Israeli operation. They were the latest in a series of such attacks that come amid heightened tensions after Damascus and Tehran accused Israel on April 9 of conducting deadly strikes against a military base in central Syria. Iran is a staunch supporter of Assad and provides both financial and military support for his regime. Iran has sent military advisers, as well as fighters recruited from Afghanistan and Pakistan, to work with Assad’s forces. They are known in Iran as “defenders of the shrines” in reference to Shia holy sites in Syria.